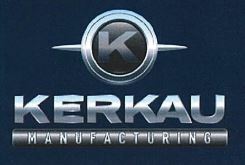 Kerkau Manufacturing is a premier manufacturer in the United States of ultraviolet sterilization cabinets, precision machined products, and pipe flanges. Kerkau Manufacturing provides high quality and durability in their product lines. Their Sterilization cabinets are used in places wherever people have to reuse eyewear that has been used by others. This is done in many workplaces such as labs and schools. If you need a UV Sterilization Cabinet for your business or school, contact us at Select Safety Sales for help with your purchase.